I am a big fan of holiday snack mix recipes! I think they are FUN and festive! 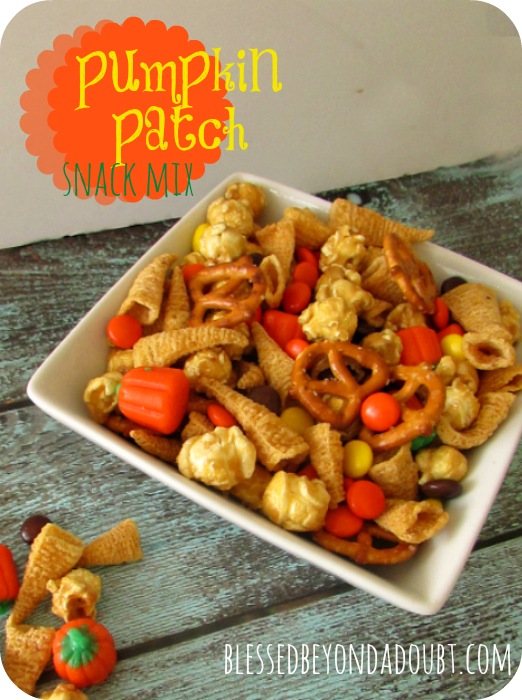 This easy pumpkin patch snack mix makes the perfect snack for little ones and big people too! Serve it in a festive bowl for big people and kid’s parties. I like to make little snack baggies full of pumpkin patch snack mix for my children to munch on during snack time. Last month I made Back to School snack mix and my children thought I was the coolest mom for that day. You can add or delete any items you choose to ft your fancy. Just throw in a big bowl and mix! It doesn’t get much easier than this. 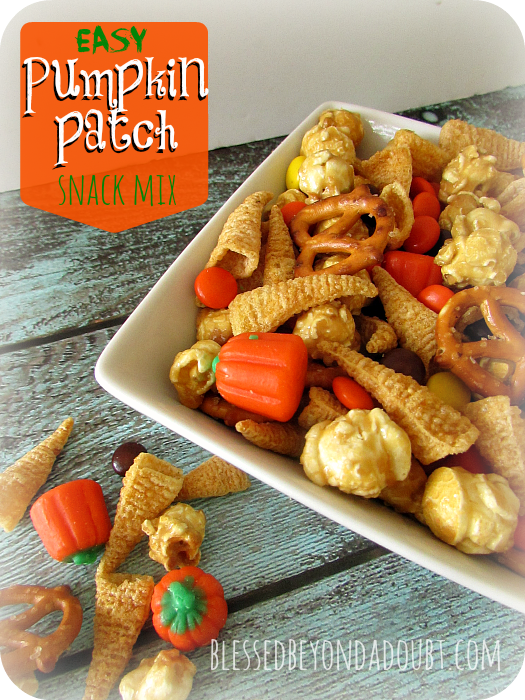 Have FUN with this festive pumpkin patch snack mix! « Parents Magazine – 30% Off! Great ideas, great site! Was looking for kid ideas and found them here.